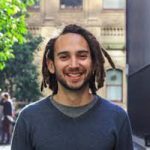 When I was studying International Relations, Philosophy and Urban Planning I never thought I would end up dedicating my career trying to make government better, writes Alvaro Maz, co-founder and managing director at Code for Australia. At Code for Australia we do this – fix government, with and for the people. We deeply believe that the problems we face today cannot be solved unless there are more people and more diversity involved in the process. Having a grandiose ambition comes at a price – scaling. There are limited resources for government-based technology applications and design which streamline processes for the everyday person. In a world where we are increasingly dependent on technology, there must be secure and reliable resources to help Australians engage with online government services. As a non-profit we have been able to create real solutions and real impact, but we constantly dream of doing more. If we could convince government to open more doors, and if resources were not limited, how much more positive social impact could we achieve? The Digital Transformation Agency has more resources than Code for Australia, and it’s tasked with a very similar, if not the same, goal. However, there is no clear vision and collaboration within the DTA – failing to create simple, clear and fast digital government services. What would we do if we were the DTA? To answer that, we have to first acknowledge those who have worked or work in government and thank them for their public service. With them, we can serve those who need help most and to ensure justice for those who have been left behind – making sure the next generation, regardless of where they come from, have an even better place to call home. But, before any good progress is made, reflection on what has happened is critical. Over the past three years, the Digital Transformation Agency has tried two different approaches to creating change. Firstly, going in with a top-down approach – rolling out projects and telling departments and agencies how to do things. A lot of work was achieved and amazing talent was attracted, but the approach didn’t go down so well with existing public servants. Then they tried to take a regulatory approach, creating standards and dishing out advice on best digital practices. They continued some of their projects like the digital ID, killed some like gov.au and started others like capability building with the APSC. All without a clear direction on where they were heading. Why do we think this will work? Because we’ve seen it happen. We’ve seen what happens when talented people come together, united by a desire to improve society, and work together as equals. In the last three years, about the same amount of time that the DTA has been around, we’ve run our Fellowship program with over 20 governments, pairing designers and developers with innovators inside government to work through complex problems. Through this, we’ve saved departments and agencies hours of manual work, millions of dollars, and radically improved the interface between government and citizens. And that’s just one of our programs. Collaboration. The way we do work is just as important as the work we do. We transform governments, and we do this with people. We invite people outside government into the process. There is enormous value within Australia’s tech community that must be tapped into. We go in as allies, showing our public-sector friends a different way of working, not telling them how it should be done. If I’ve learned anything in the past few years, it’s realising just how difficult it is to create change within society. I’ve seen the structural and systemic challenges faced by politicians and civil servants in their quest to have positive social impacts – I’ve experienced the frustration from those of us on the outside feeling disempowered by 21st century government. We have everything we need to transform government – and in that process – redesign the way we apply our democracy. When our journey at Code for Australia started, few believed that government could change. Today, we’ve had over 60 Fellows who have given their time and skills to Code for Australia to re-imagine our public service. Three years ago, working in government was not ‘cool’. But today, there are engineers, designers and project managers who leave the private sector to work in government or to found their own civic technology startup. What’s more, passionate and committed public servants are getting noticed as innovators and pushing the boundaries to provide social solutions. If a small organisation without background in politics or technology can create such impact, imagine the results if there was more collaboration. It’s a long journey, but together we’ll get there. Alvaro Maz is co-founder and managing director at Code for Australia.